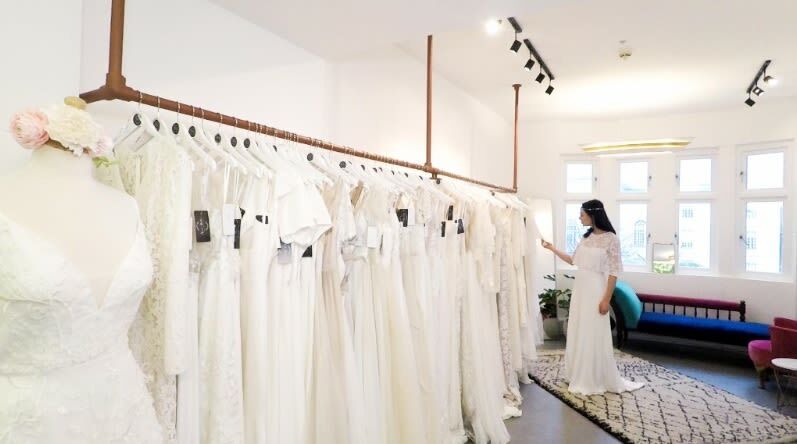 This will be Heart Aflutter's biggest ever sample sale - with one-off designer dresses by Truvelle, Tara Lauren, Laudae, Lena Medoyeff, Emmy Mae & more discounted between 30% to 70%, starting from as little as £200. Expect sizes 8-22, but mostly 10-14. During the sale there's no appointments - walk-ins only, for a non-exclusive 30 minute slot allocated on a first-come first-served basis. They will only allow 2 shoppers at one time - there's an on-site cafe to wait there until it's your time! Maximum of 4 dresses to try on. Any dresses purchased will need to be paid for in full and taken away that day. Please wear suitable underwear as you might need to share the changing room. Bringing heels is also a good idea! Only samples in the sale will be available for trying on. Payment is by card only. Please only bring max one guest.